Please find a wide range of flykiller lamps which include respected brands such as PlusLamp, Philips and Synergetic. These UV Tubes and parts offer excellent value for money. 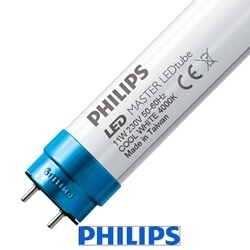 Testing has showed that PlusLamp 350mm tubes in particular offer a lower rate of deterioration then many leading brand UV tubes. We also offer a shatterproof option for sensitive areas such as food preparation and assembly areas. Why isn't my Flykiller catching flies? Flykillers require maintenance to ensure they are kept working at optimum efficiency. UV tubes have an effective life of approximately 8000 hours, and as such should be replaced at least once a year, ideally before the summer season.